Most visitors would be shocked to learn that San Franciscans hate filth. We require restaurants to display a hygiene score card. We have a number to call for park and sidewalk cleaning. We heavily fine anyone who dares block our street cleaning vehicles’ precise schedule. Yes, we live in moldy old buildings. Yes, the entire city often smells terrible. And yes, that’s human urine on your car door. Sorry, I should have told you not to park here. Tourists don’t recognize our little obsession with cleanliness because we often focus on minor details, ignoring larger issues that are politically unpalatable to address head-on. 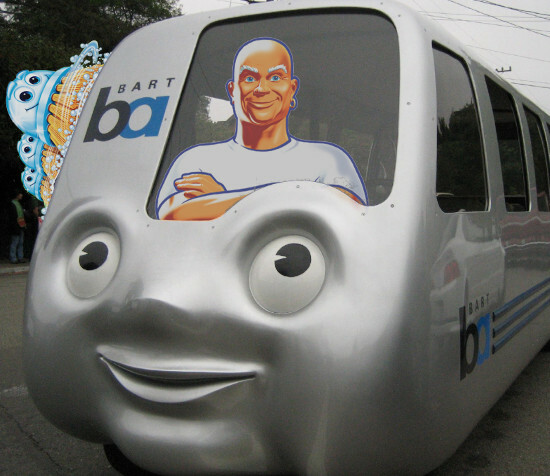 The poster child for our cleanliness obsession reaching a disorder level is Bart. Despite drug deals and human excrement problems in certain stations, Bart focuses on appeasing germaphobes who demand free hand sanitizer and inorganic germ-resistant vinyl seats. This isn’t to say San Franciscans are trying to scrub away our hippie image; we’re just washing our organic heirloom tomatoes with soap these days. Now if you’ll excuse me, I have to go confirm that the overflowing trash can I reported to 311 was emptied.